For almost as long as video surveillance has been around, the end user’s primary use of a video security system has been in the area of loss prevention and recovery. This makes perfect sense. Cameras keep an eye on inventory, and are able to deter theft, thereby reducing inventory loss. But now, with the widespread adoption of IP cameras over legacy analog CCTV systems, ROI for video security has to be considered through a number of new lenses. Passive analog cameras were good at loss prevention, but today’s IP cameras have so many more potential applications than just reducing shrinkage. Active software and video analytics make it possible for IP cameras to function not just as a security presence, but to provide insights into the business that can be used to improve workflow, productivity, and efficiency. The end result? A huge potential for ROI as a result of the installation of an IP video security system. 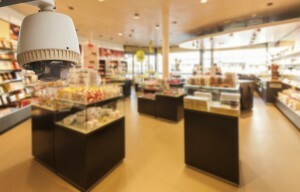 Here are a few examples of the new ways business owners are using IP cameras outside of security. Video analytics software can use video data to create visuals of traffic patterns in a retail store. This allows businesses to see where customers are moving in the store. This information can be used in a number of ways. Walkways can be modified to facilitate the flow of traffic, especially around congested areas such as checkout lines. Displays can be set up in areas that see high traffic. Merchandise can be reorganized in order to create a more even distribution of traffic throughout the store, exposing customers to more inventory. The possibilities are endless. IP cameras combined with video analytics have the capability to recognize faces in the crowd. This too, can be used in any number of ways. For example, cameras can be combined with access control systems to ensure that only authorized personnel whose faces are recognized are allowed access to restricted areas. Software can determine if a customer has been lingering in front of a display for a long period of time, suggesting they may be in need of assistance. An associate can be dispatched to their location to ask if they need any help. By the same token, employees can be monitored to ensure they’re not lingering in locations while there is work to be done. This entry was posted on Thursday, February 26th, 2015 at 2:38 pm. Both comments and pings are currently closed.